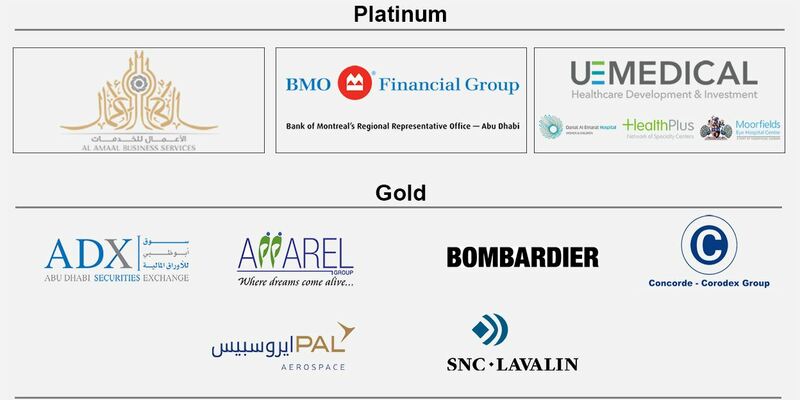 As we kick off 2019, CBC Abu Dhabi highlights the high profile networking reception for Canadian companies participated at International Defense Exhibition (IDEX), attended by close to 200 industry leaders, and as well as hosting a panel discussion with UAE Space Agency Director General, H.E. Dr. Mohammed Nasser Al Ahbabi, and Canadian Space Agency President, Mr. Sylvain Laporte. 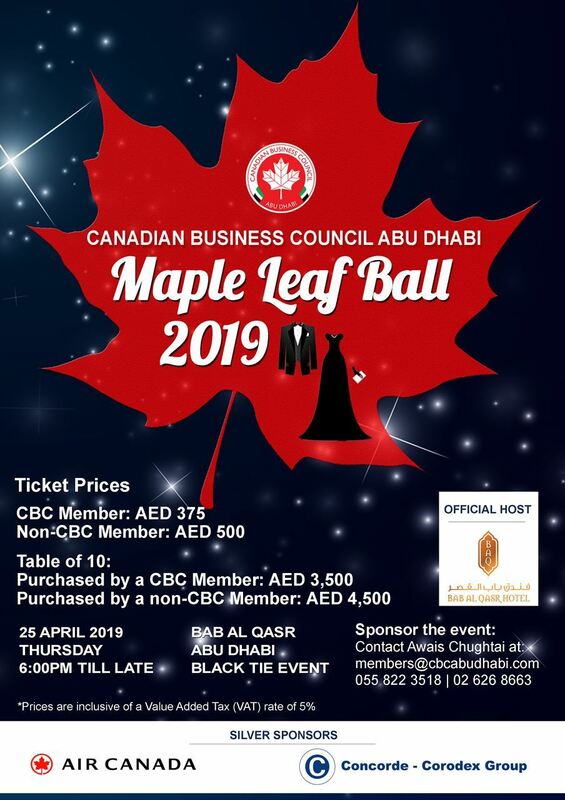 In April, CBC Abu Dhabi will hold its flagship event, the Maple Leaf Ball - a gala dinner that celebrates Canada-UAE relations. This event is open to all, so make sure to book your sponsorship and tickets early! We have three exciting months coming up, so make sure to stay in touch with CBC and be part of it. Thank you for your support for the World Games! 24 March 2019. The World Games ended last Thursday night. Earlier that day, bocce medalists Kerry (one silver, one bronze) and Neil (two silver) visited the elementary students at the Canadian International School in Abu Dhabi to talk about their experience and show them their medals! Everyone wanted to try them on and all were in awe of these champions. READ MORE. 18 March 2019. The Emirates ranked highly in the Positivity Index of Nations because of its focus on future generations. 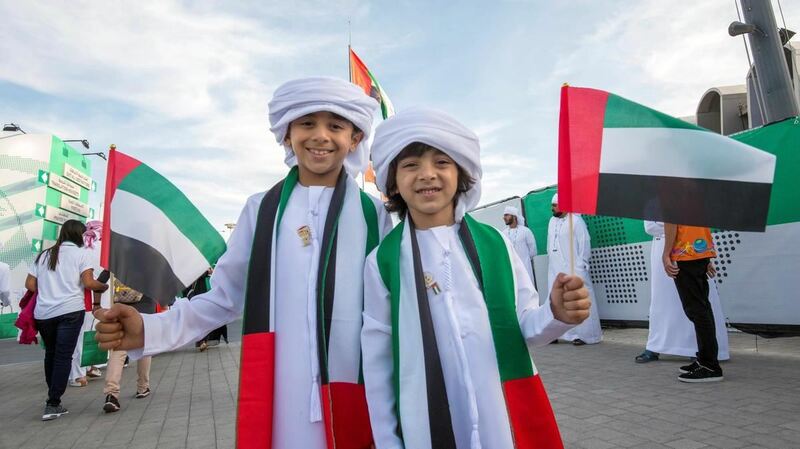 The UAE has ranked 8th on an index that measures countries' positive effect on the world and their ability to prepare its young people for future challenges. The Positivity Index of Nations is an annual global report published by the Positive Economy Institute since 2013. READ MORE. 22 February 2019. H.H. Sheikh Saud bin Saqr Al Qasimi, Supreme Council Member and Ruler of Ras al-Khaimah, attended the Terry Fox Run on Friday, a charity race to support cancer research centres. Some 4,500 people took part in the Run, which has become one of the most popular events nationwide, amid enormous participation its the sponsors. READ MORE. 19 February 2019. The Dubai Chamber of Commerce received a trade mission from Canada led by the Consul General of Canada in Dubai, Marcy Grossman for the Gulfood, that was attended by leading F&B importers from Dubai and Canada. Over 130 meetings were held between them as a result. 27 January 2019. 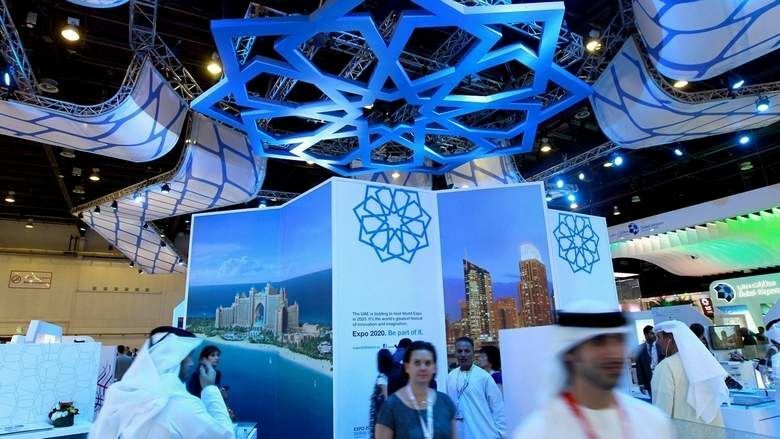 Expo 2020 continues to grow bigger as Canada has confirmed its participation in the upcoming mega event set to be held in Dubai next year. The G7 nation's participation was sealed during two separate high-level meetings between Jim Carr, Canada's Minister of International Trade Diversification, Mohammad Al Gergawi, UAE Minister of Cabinet Affairs and the Future, and Mohammed Al Shaibani, Director General of the Ruler's Court, Government of Dubai, held on the sidelines of the World Economic Forum in Davos, Switzerland. READ MORE. 09 January 2019. 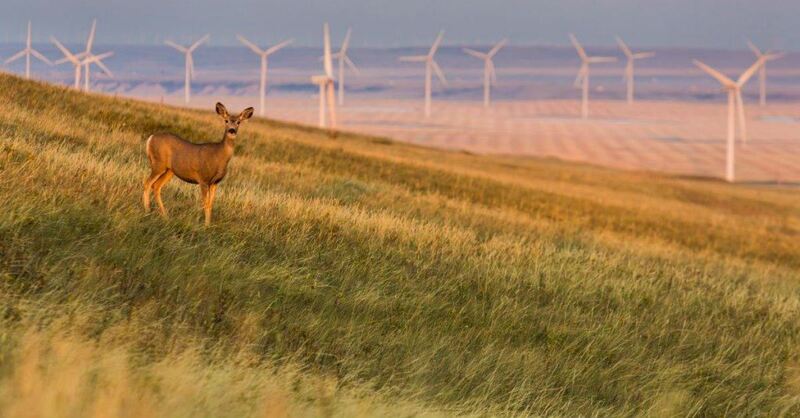 Canada has today officially become a member of the International Renewable Energy Agency (IRENA). 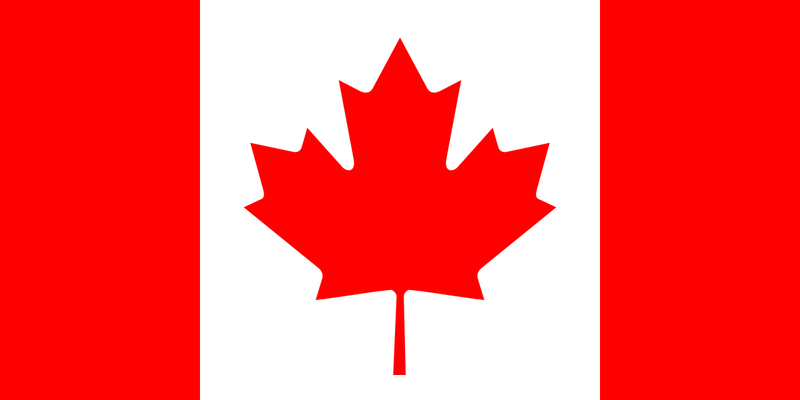 Canada becomes the Agency’s 160th member to join the global intergovernmental organisation dedicated to the widespread adoption of renewable energy. READ MORE. 24 March 2019. Mr. Mohammed Ali Al Shorafa Al Hammadi, Managing Director & CEO at United Eastern Medical Services (UEMedical), the parent organization of Danat Al Emarat Hospital and HealthPlus Fertility Centers, said “Organizing such conferences annually showcases our commitment to develop our services and support medical education initiatives in the Emirate of Abu Dhabi. We intend to help transfer global expertise in the obstetrics, gynecology and fertility fields to the region, through holding international conferences and scientific meetings..” READ MORE. 14 March 2019. 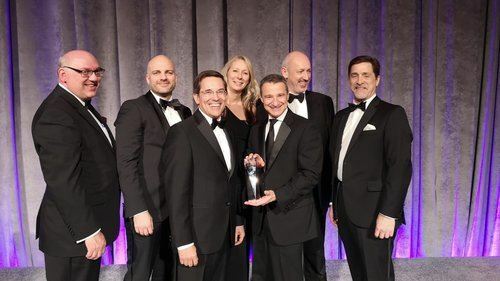 BMO Financial Group has been recognized by the Ethisphere Institute, a global leader in defining and advancing the standards of ethical business practices, as one of the 2019 World's Most Ethical Companies. READ MORE. 22 March 2019. 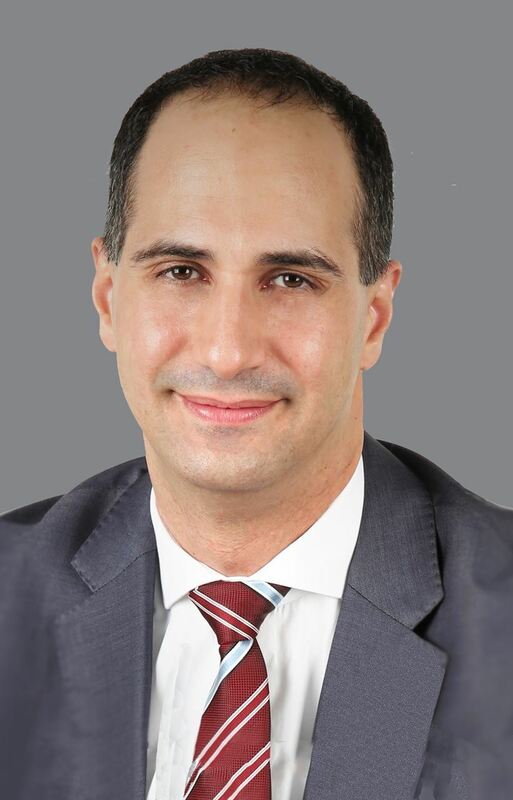 Mike Nadolski, Vice President Communications and Public Affairs, Bombardier talks about innovation in the Canadian aerospace industry. 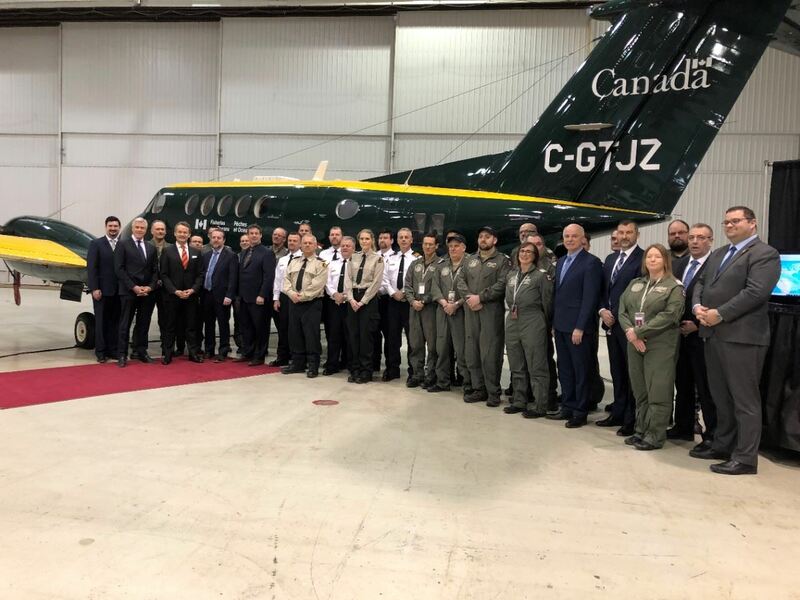 "At Bombardier, we’ve long been committed to finding new ways to improve how people travel, to pushing the envelope, and to setting new standards. We’re certainly grateful for the recognition by Aviation Week and so many others. It’s inspiration to keep us pushing towards greater heights." READ MORE. 14 March 2019. 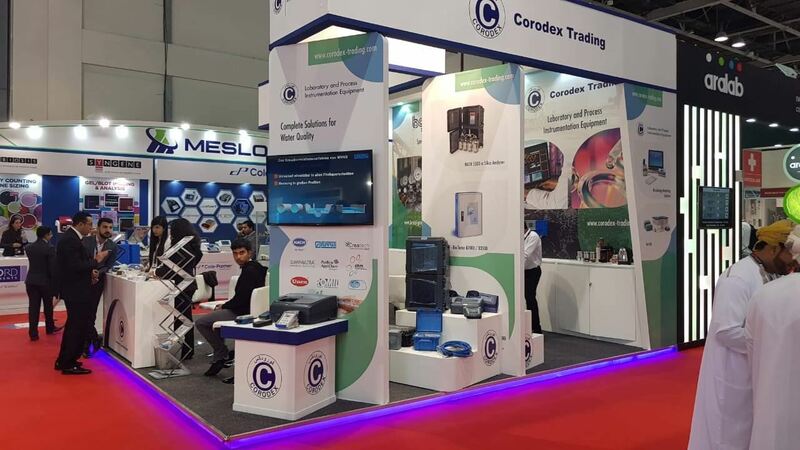 Concorde Corodex Group participated at ArabLab 2019 in Dubai on 12-14 March 2019, an event showcasing products from Medical & Pharmaceutical, Scientific Instruments, Research & Development, Ayurvedic & Herbal, Natural & Organic industries. 28 January 2019. 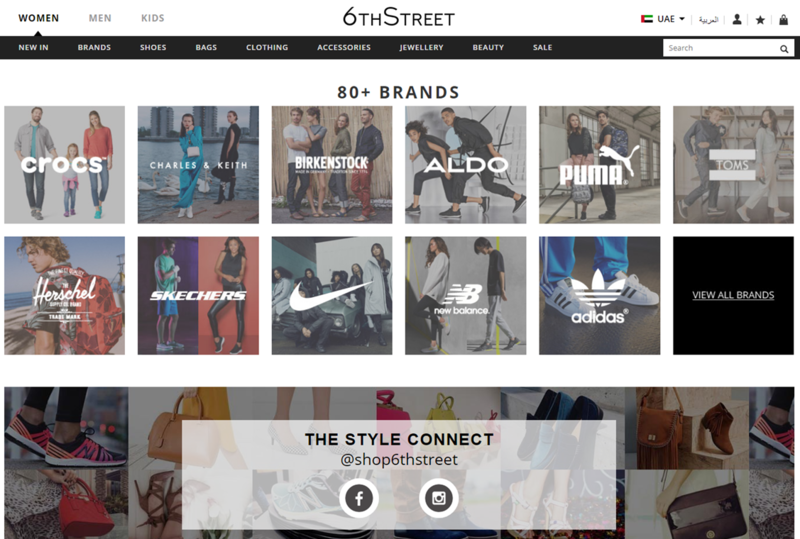 They say, “true love will find you” and it has – 6TH STREET is bringing you the styles you will fall head over heels for, from the biggest brands. The omnichannel fashion-savvy destination from Apparel Group, will be buzzing with the season of love from the 28th of January, 2019. CBC members get 10% discount on all its products. MENA Political and Economic Overview | What is Next for the Gulf? 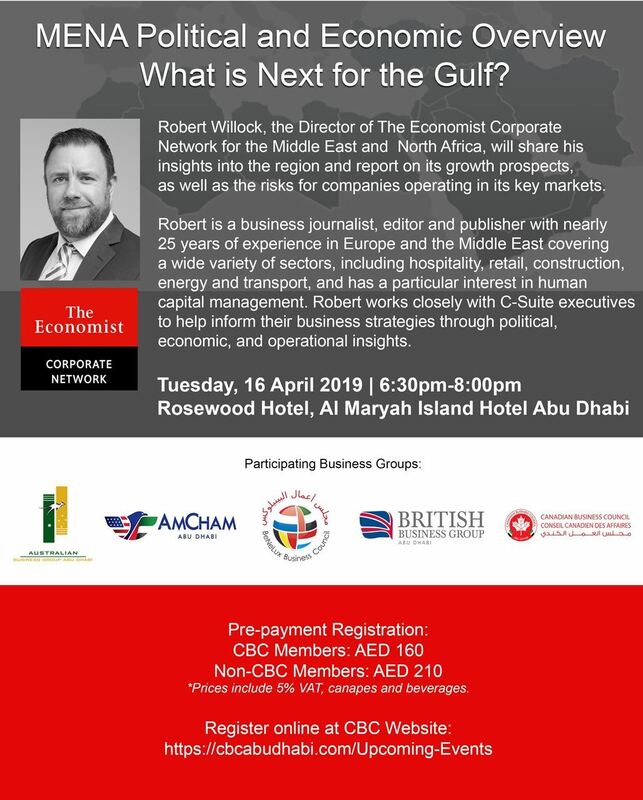 Speaker Robert Willock, the Director of TheEconomist Corporate Network for the Middle East and North Africa, will share his insights into the region and report on its growth prospects, as well as the risks for companies operating in its key markets. H.E. 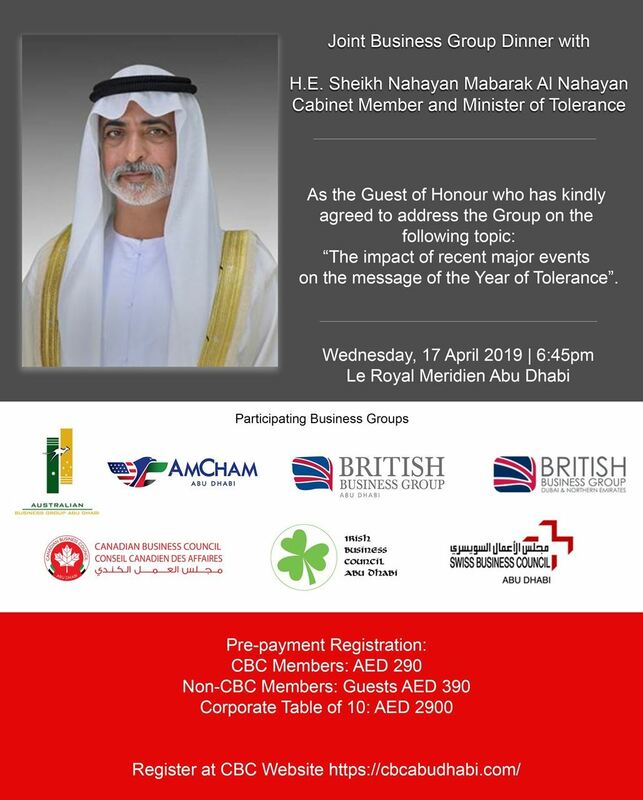 Sheikh Nahayan Mabarak Al Nahayan, Cabinet Member and Minister of Tolerance of the UAE will address the group on the Year of Tolerance. Sponsorship opportunity is available. Please download the sponsorship packages here for further information. 19 April 2019. 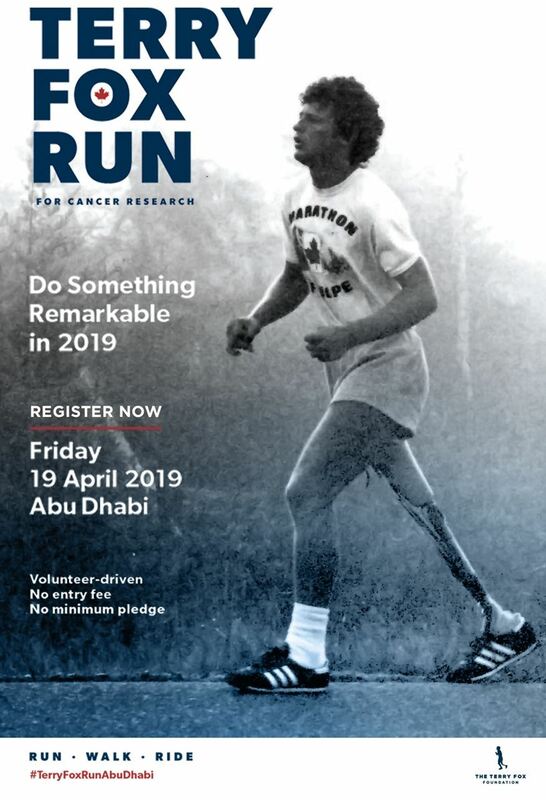 Terry Fox Run Abu Dhabi is a non-competitive event where people get together as individuals, families, and groups to raise money for cancer research in Terry’s name. It is a day of celebrating Terry’s legacy and helping to keep alive his dream of finding a cure for cancer. The Terry Fox Run is accessible to anyone with no entry fee, no minimum pledge and a non-competitive atmosphere. Participants can walk, wheel, ride or run and most of all have fun while raising funds for cancer research. Ways to Get Involved. There are many ways YOU can get involved! Please click here on the info pack to learn more. 30 April - 01 May 2019. The global AI phenomenon will create a new world order, and the UAE Strategy for Artificial Intelligence 2031 envisions the country to become a world leader in AI by 2031, creating opportunities and generating up to $90 billion in extra growth. Under the patronage of His Highness Sheikh Mohammed Bin Rashid Al Maktoum, Vice President & Prime Minister of the UAE and Ruler of Dubai, and hosted by the UAE’s National Program for Artificial Intelligence launched by the Minister of State for AI, the Ai Everything Summit is a culmination of the UAE and the world’s mission to promote initiatives, collaborations, partnerships and breakthroughs in the field of AI, and to foster positive impact on governments, businesses, social enterprises and humankind. At Ai Everything, the year’s most anticipated AI summit, we set out to unite the divided conversations in Ai. 11-14 November 2019. ADIPEC brings together professionals with real buying power, with billions of dollars' worth of business concluded at the event each year. 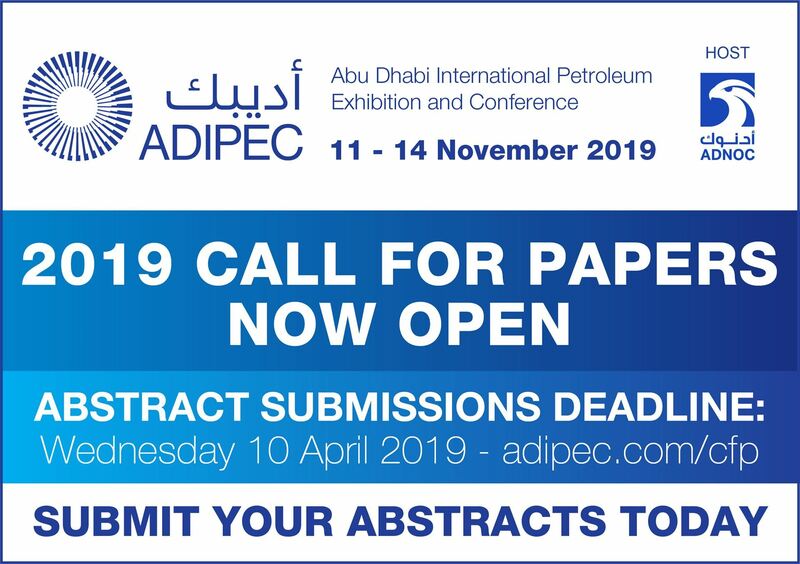 The oil and gas industry convenes in ADIPEC to not only decide on the future of the industry, but to purchase for now, meet with existing partners and discover new business opportunities for the future. 20 March 2019. The Canadian Business Council (CBC) Abu Dhabi in collaboration with the Embassy of Canada in the UAE organized “A Conversation with UAE Space Agency (UAESA) Director General, H.E. 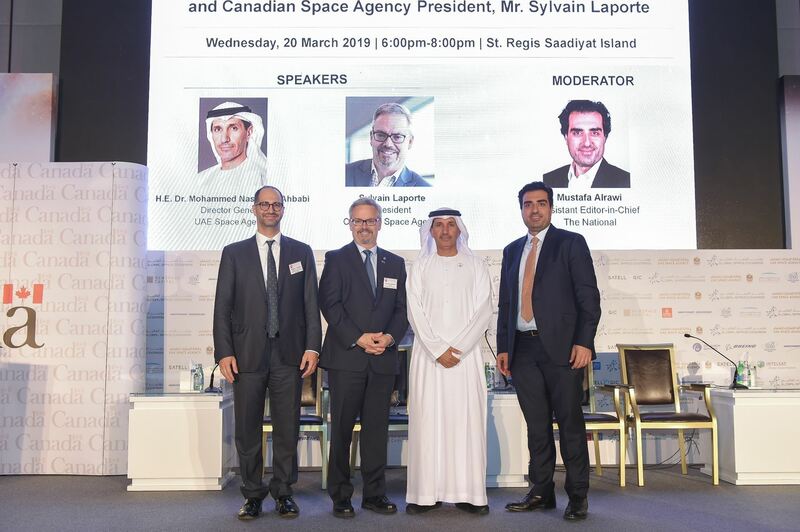 Dr Mohammed Nasser Al Ahbabi, and Canadian Space Agency (CSA) President, Mr. Sylvain Laporte” on Wednesday, 20 March 2019 at St. Regis Saadiyat Island. The event gathered delegates of the UAESA, CSA and Global Space Congress and members of CBC Abu Dhabi. READ MORE. 13 March 2019. CBC Abu Dhabi participated at the special business after hours with other business group celebrating the French language and its cultural expressions organized by the Swiss Business Council. A great way to network while enjoying the French music, food and drinks offered by Le Royal Meridien, free wine tasting offered by Cheers, and great raffle prizes donated by various organizations. 25 February 2019. 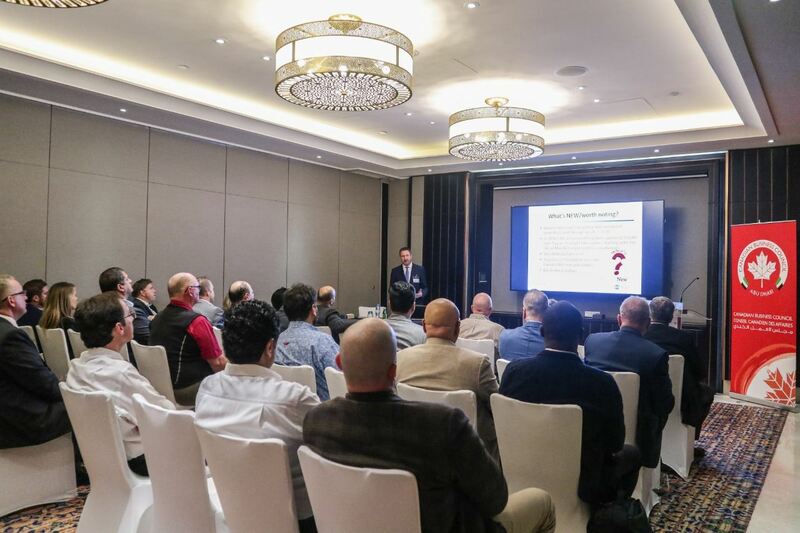 CBC Abu Dhabi participated at the joint business group event - an informative session on the state of cyber security in 2019; organized by the BENELUX Business Council. 19 February 2019. CBC Abu Dhabi organized the International Defense Exhibition (IDEX) Networking Reception for Canadian companies participating at IDEX. The event was attended by high profile people from the defense industry. 06 February 2019. CBC Abu Dhabi participated at the speed networking organized by the British Business Group along with various business groups in Abu Dhabi. 05 February 2019. 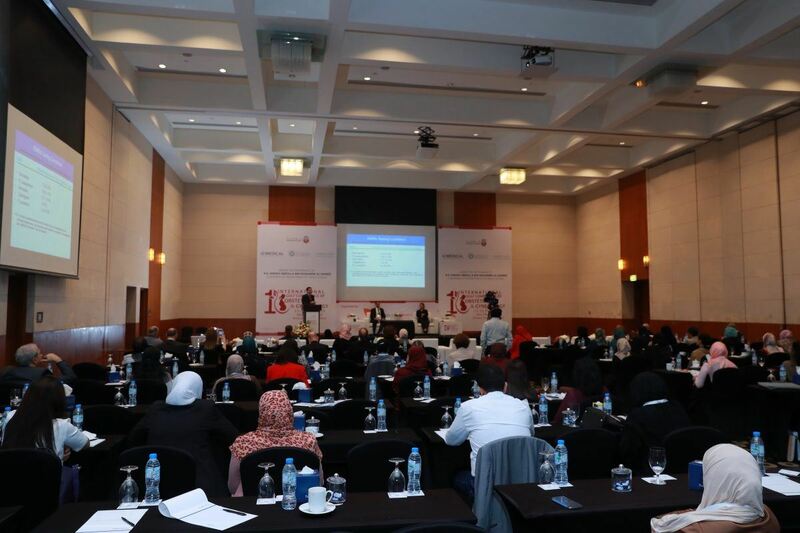 CBC Abu Dhabi organized the annual Canadian Taxation Seminar: Canadian Tax Consideration for Expats in the UAE. Mr. Wayne Bewick, Partner at Trowbridge Professional Corporation presented the latest Canadian tax changes, Canadian residency for tax purposes, and more. 22 January 2019. CBC Abu Dhabi participated at the New Year Networking Organized by British Business Group along with various business groups in Abu Dhabi. A great networking event to kick start 2019! Special offers and discounts to CBC membership card holders for services, products and selected outlets in Abu Dhabi. 30% discount is applicable on all products - excluding all promotional items. Fly to any destination of Turkish Airlines from UAE and avail discount up to 9%. Also this offer adds 10 kg. extra to the existing baggage allowance and lets you travel hassle free with flexibility in fare rules. Please click Member's Benefits and Member's Discounts to learn more about our program. 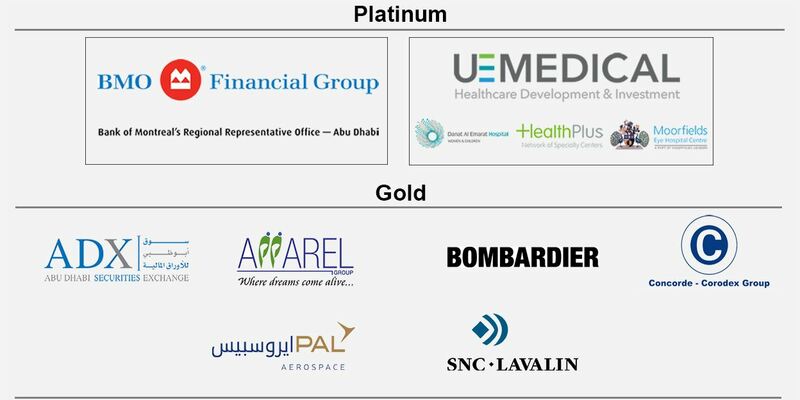 To learn more about these companies, please click here. 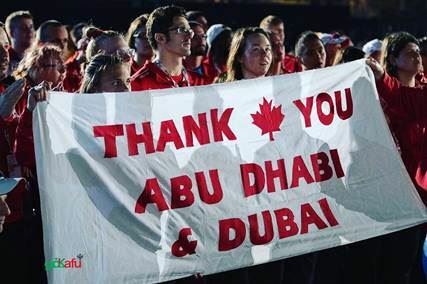 Canada has formally announced its participation at Expo 2020 Dubai. The Request for Information (RFI) for the design, build, construct and dismantle of the Canada Pavilion, including the exhibition component, has been published in Public Works and Government Services Canada website. Please click here. This will be followed by a full request for proposal (RFP) expected to be posted by March 31, 2019. 12 February 2019. 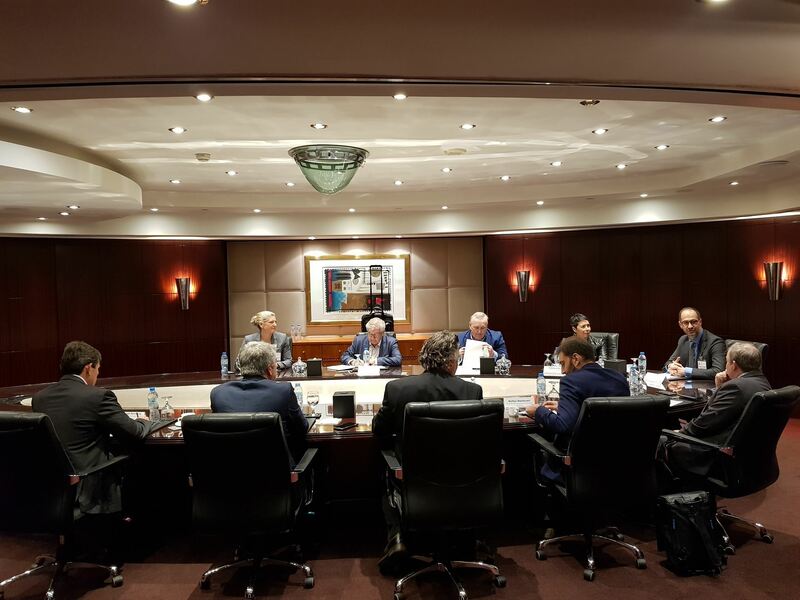 The Canadian Business Council (CBC) organized a roundtable discussion with Team Canada for Expo 2020 Dubai, in collaboration with the Consulate General of Canada in Dubai. The meeting was chaired by CBC Chairman, Gregory Zoughbi and attended by some members of the CBC Board and esteemed Canadian companies. Join our growing professional community in LinkedIn. The CBC Abu Dhabi account and page have currently 5,500+ followers. Get connected and view the latest trend and update. 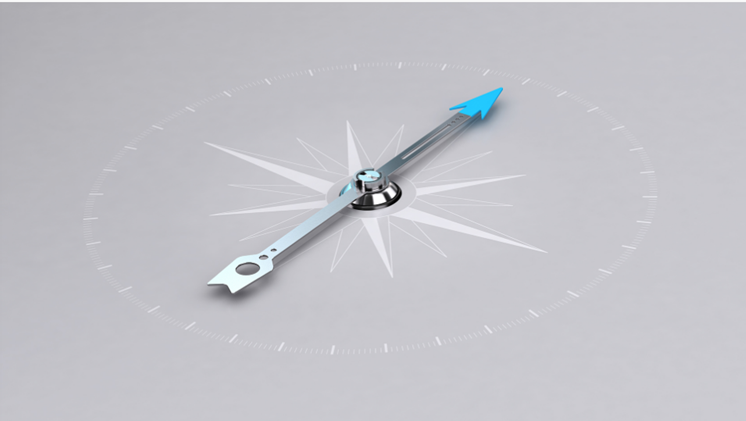 Please click CBC LinkedIn account and page to connect. Follow us in Facebook, Twitter, and Instagram and get the latest trend, news and upcoming events. Please click on the social media widgets. Interested in promoting your business by sponsoring CBC or specific events?